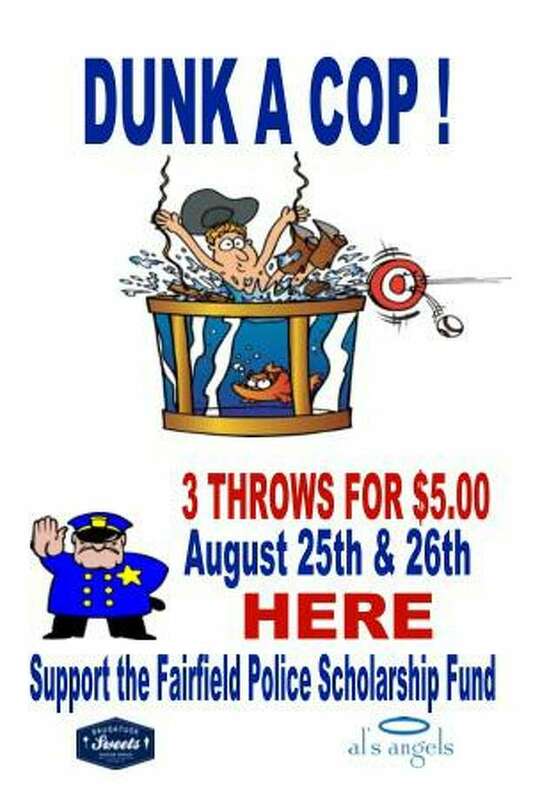 FAIRFIELD — Anyone with $5 in their pocket and a good throwing arm can take aim at cops and politicians this weekend at a Fairfield police union fundraiser. A dunking booth will be set up at Saugatuck Sweets on Reef Road and for $5, you get three throws. State Sen. Tony Hwang, R-28, will start off Saturday in the hot seat from noon to 2 p.m., while Police Chief Gary MacNamara takes his turn at 3, followed at 4 by First Selectman Mike Tetreau. A complete scheduled for Saturday and Sunday can be found at facebook.com/FPDUnion. The dunking event, as well as a concert slated for Friday night, are to benefit the union’s scholarship fund and CT Special Olympics. The concert Friday features the Alpaca Gnomes at 7:30 and J.E.R.K. at 9:30 p.m. at Fairfield University. Tickets for the outdoor concert are $10 and can be purchased at http://bit.ly/2P1DiWa. While outside food and drink will not be allowed in, they will be available for purchase. Dogs are not allowed.